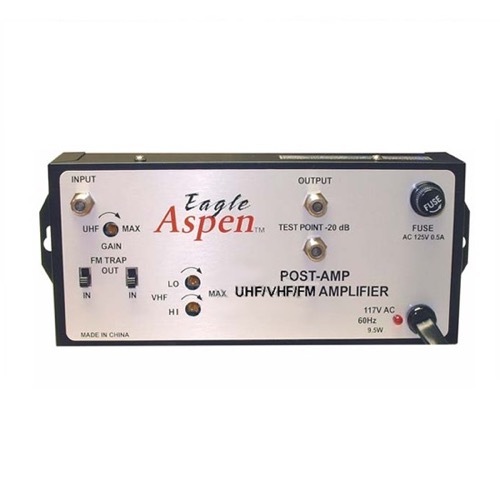 Eagle Aspen POST-AMP UHF/VHF/FM Distribution Amplifier!!! This low cost amplifier is designed to amplify VHF/UHF/FM signals in residential applications. It features a built-in FM trap.